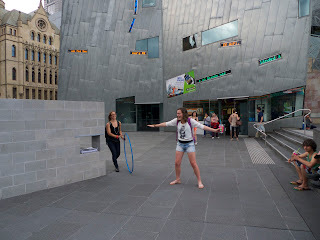 I decided to make a performance with one hoop today. 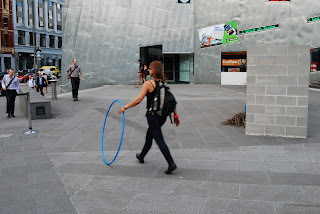 This was not something I'd intended to do a week ago, but it seemed like an interesting way to engage in the pedestrian flow of peak hour traffic. 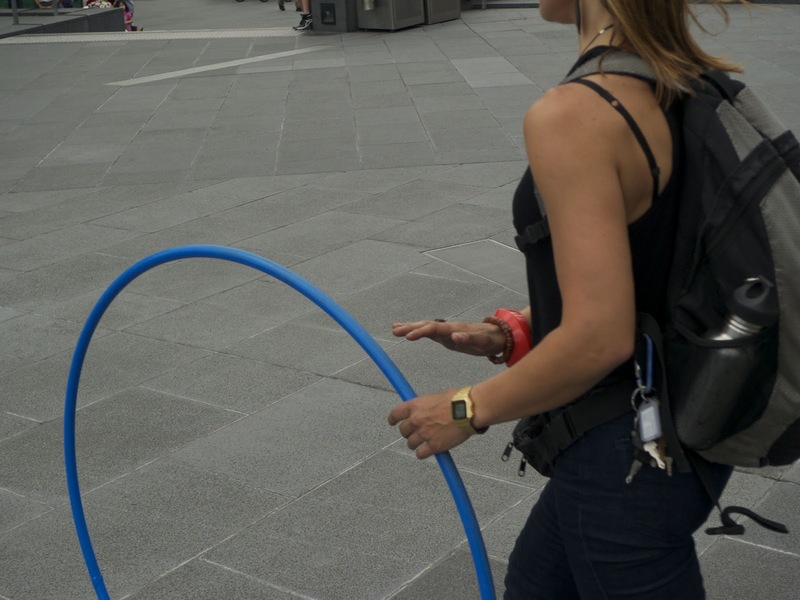 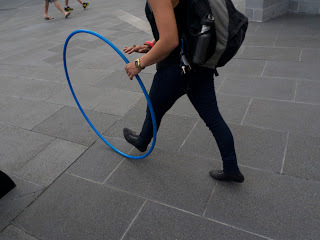 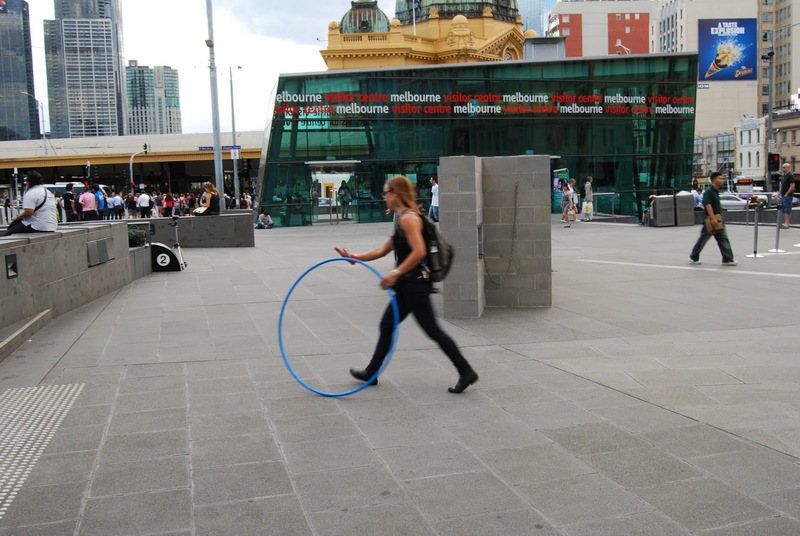 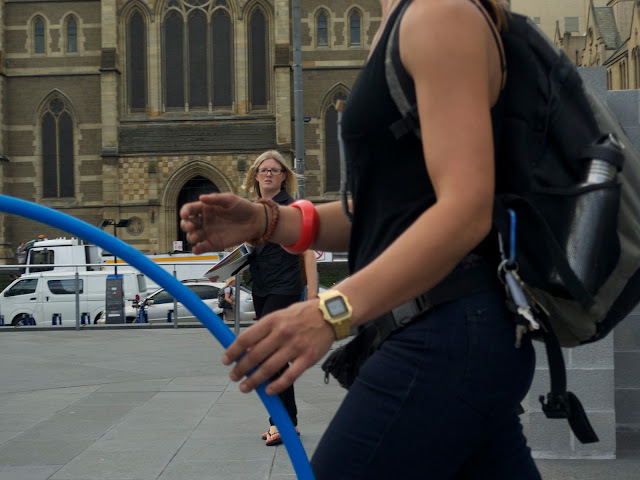 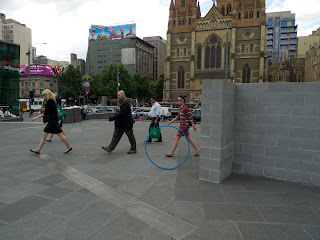 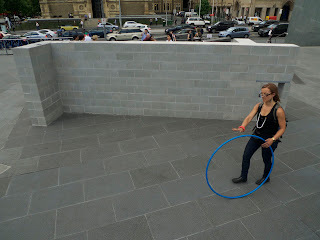 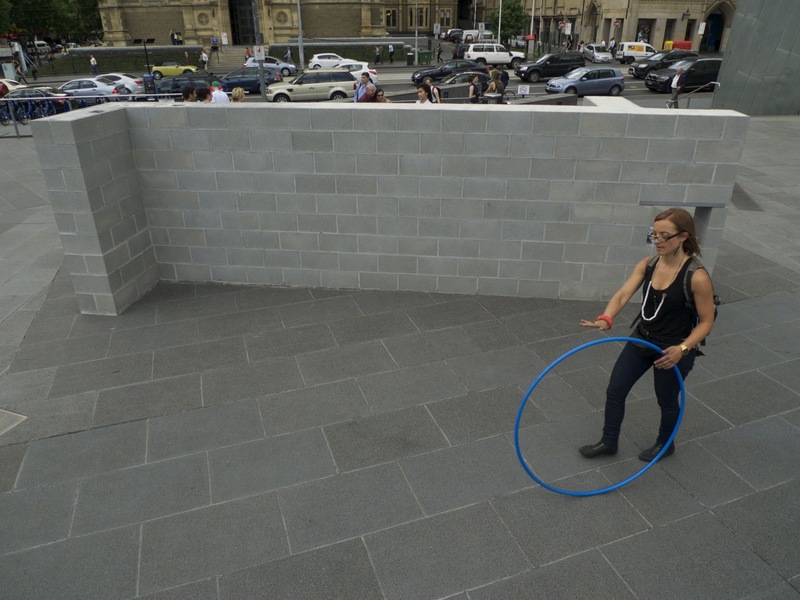 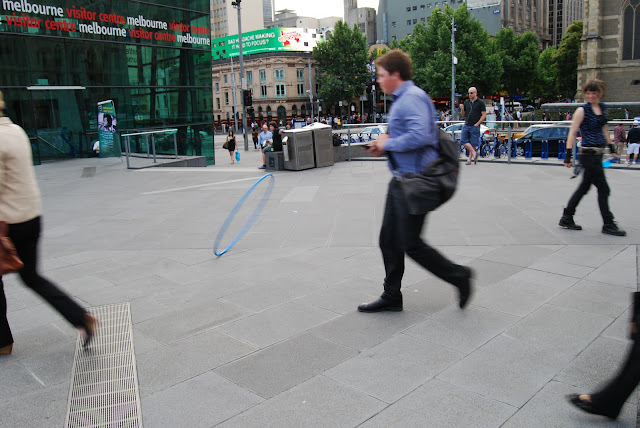 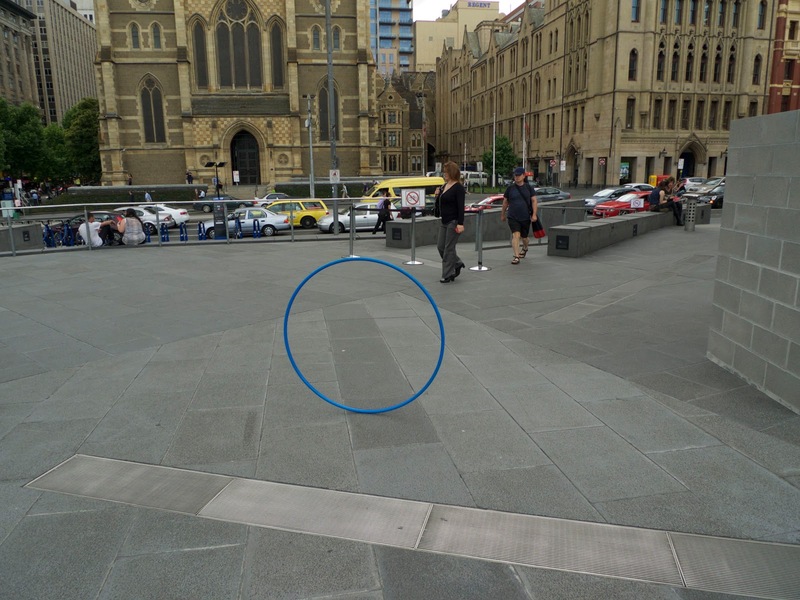 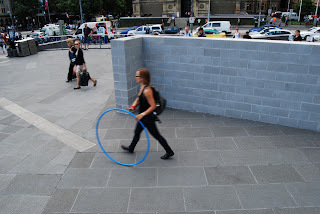 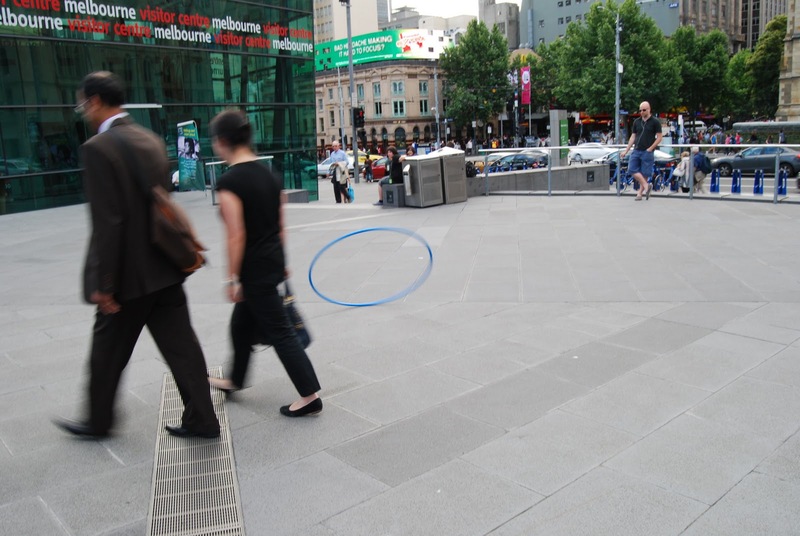 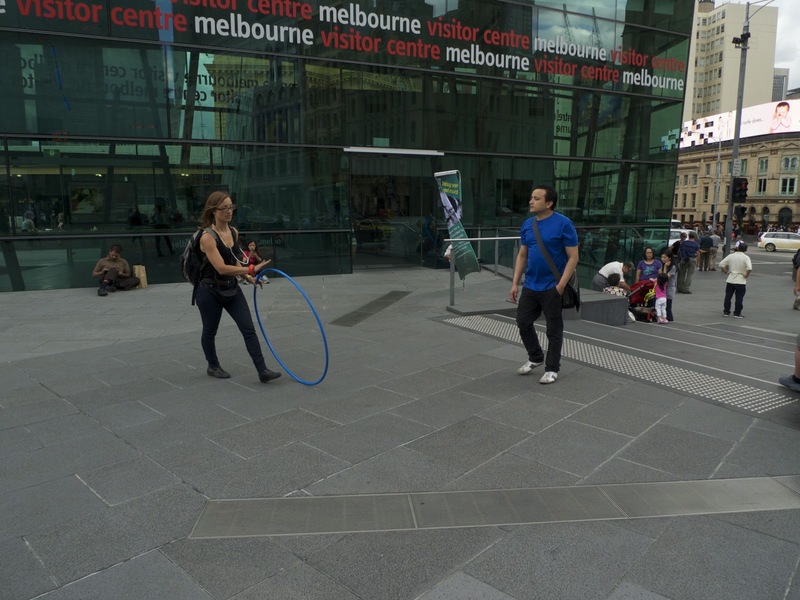 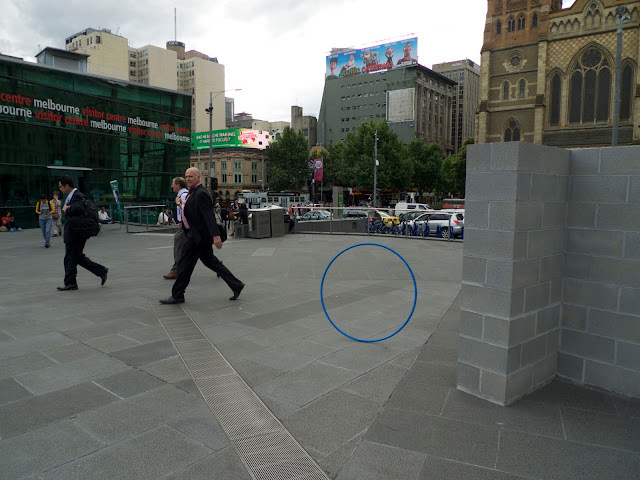 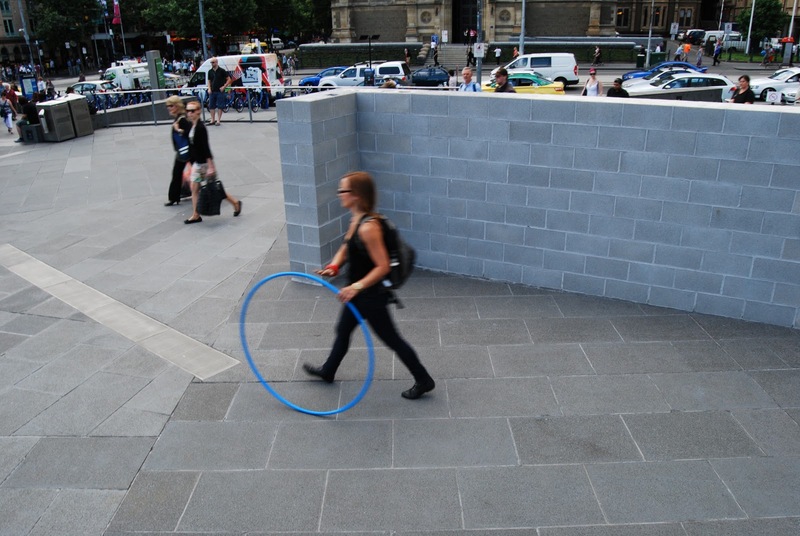 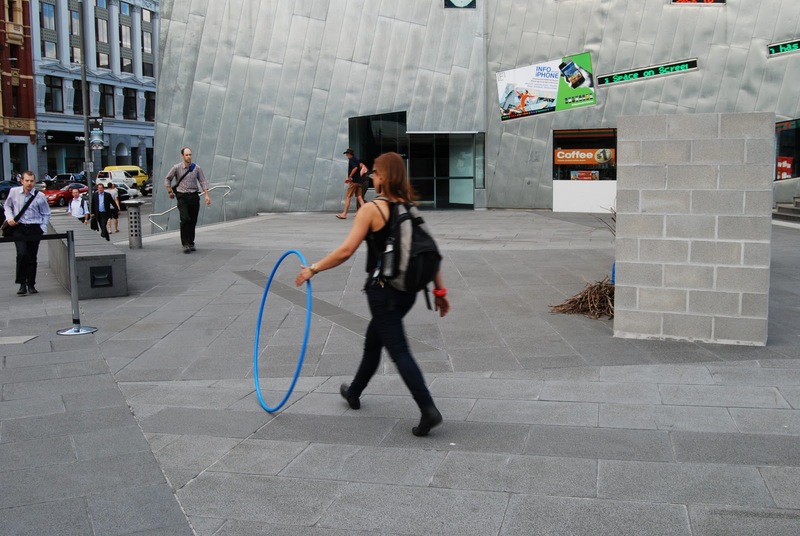 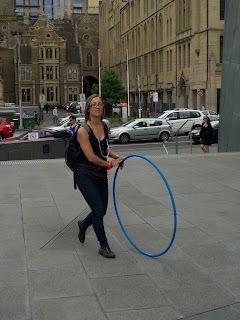 The sound of one hoop is diminished amidst the throng of traffic on Flinders Street, but the motion of the hoop rotating towards the ground is mesmerising. 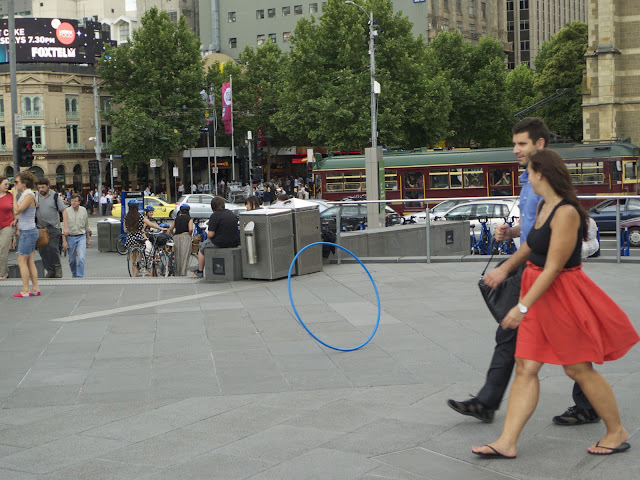 I never get tired of observing it. Its interesting to set the hoop off and let it do its thing, to move from facilitating it to enjoying it as a momentary, gentle spectacle. People mostly ignore it but integrate it into their trajectories well. While doing this performance a man on a segue sped past. Golden!